The number of people looking at my blog post on the Shark still amazes me, as I type this I’ve had over 100000 hits on that page alone, and they come from pretty much everywhere in the world! A few people have asked for videos, of which I made a few already – but I’m please to share the remanding few to help you make a complete shark with you today (finally). So, for a full run down of how to make the shark via the clever technology that is Youtube………. The tail video can be watched here. The Body of the shark can be watched here. How to stop increasing the body can be watched here. The shark Jaws shape can be watched here. The Gums and teeth can be watched here. The Fin can be watched here. The eyes can be watched here. 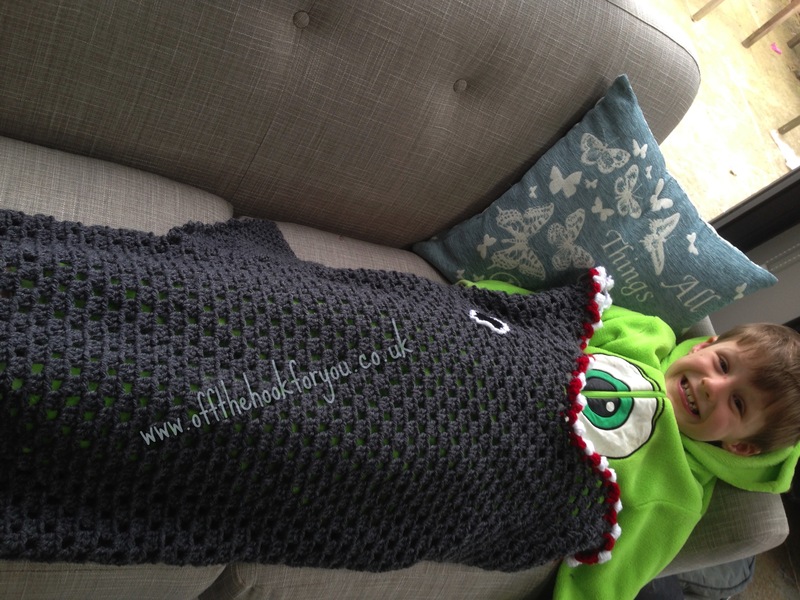 I’m still getting loads of finished sharks being sent to me and I love seeing every single one! You can see some of them here. Vicki, I purchased the instructions for the alligator. It says to use hook 7 and a 4. Is 7 used for just the teeth? The 7mm is for the whole croc- only the eyes are done with a 4mm. What is a boogie? 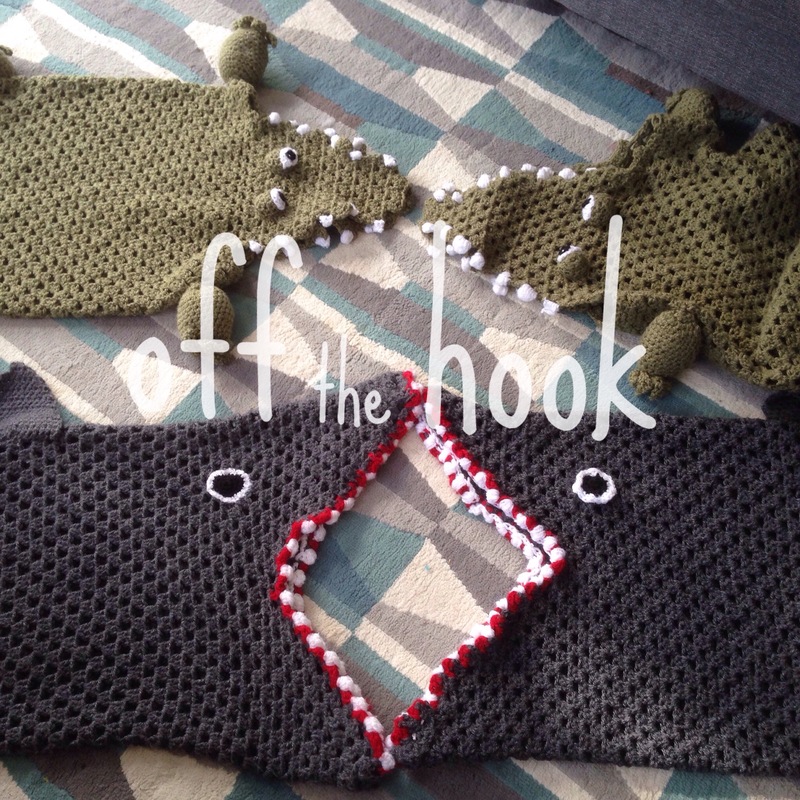 I don’t have anything else shark related other than the blanket….. But i might be up for the challenge!